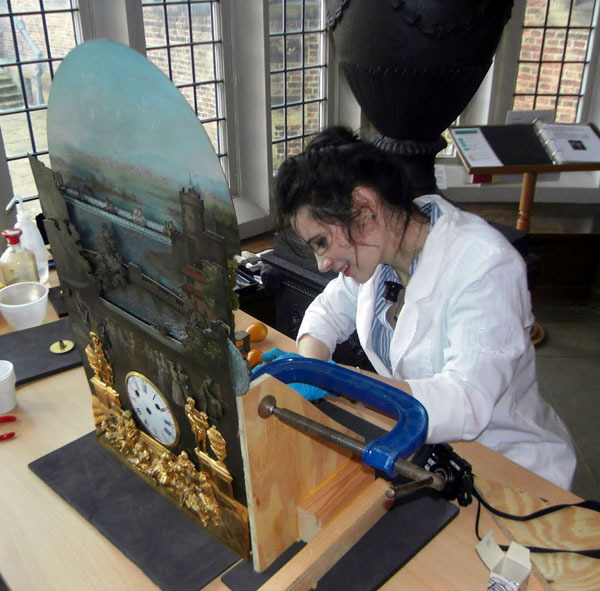 I had the privilege of working with Conservator Ian Fraser at Temple Newsam House in Leeds, England. Together, we worked for two years on the prospect of making conservation works to an important piece in the collection possible. The house holds this treasure in its stairwell. 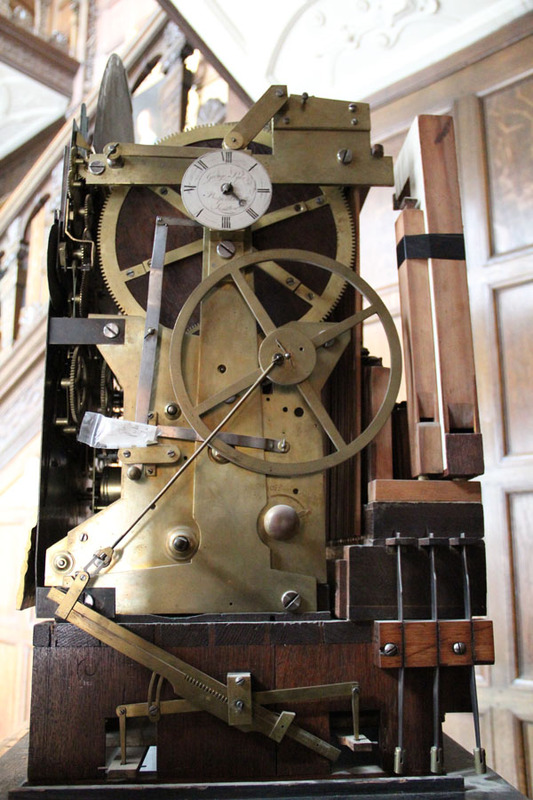 A musical clock made in 1765. 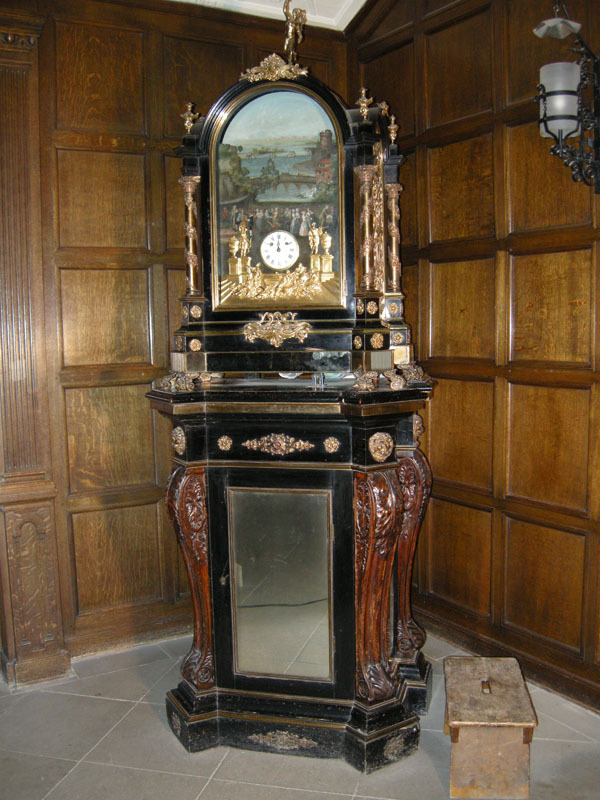 The clock stands in excess of 6 feet tall on its pedestal. 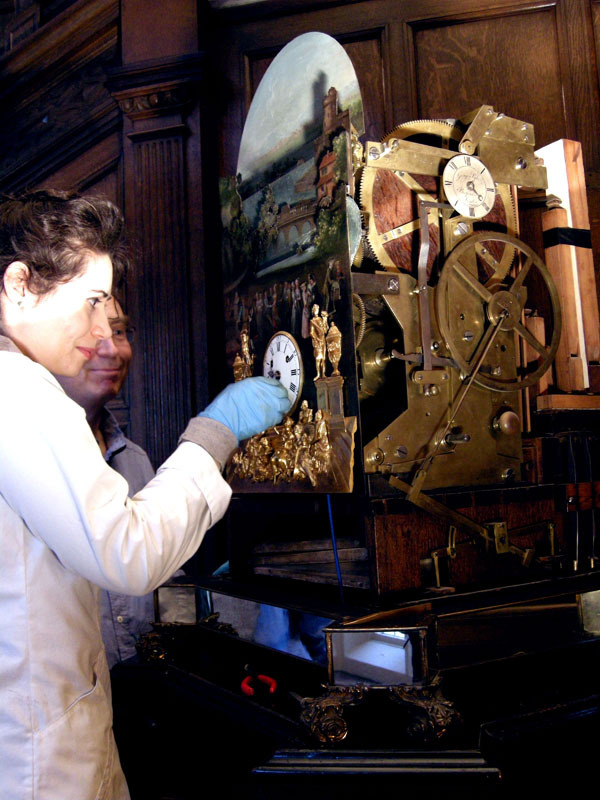 The clock consists of two main components: Its case, which houses the clock, automata and dial, and barrel organ, is accented with ormolu rosettes baring peninsular corners and banded by looking glass while supported by pairs of ormolu feet. Four brass columns corner the case and are spirally banded by a cascading floral trail. At the top of each stands an urn finial. Matching and elaborately pierced chased gilt bronze panels of floral sprays, musical instruments, female masks, and flaming urns fill the arched side doors, lined with green cloth. The hood is surmounted by a cast figure of Mercury. Two arched doors that are bolted by lock and key enclose the organ mechanism and clock. The petite white enamelled dial is set in the midst of a vibrant village scene, alive with music and dancing figures. Whilst above the dance, the village continues with routine. A dog chases a duck through a pond, people make their way across a distant bridge, and boats bustle through rolling waves in the outlying sea. The seven muses in gilded bronze can be found lounging beneath the dial while Diana and Apollo stand erect upon pedestals flanked by urns. The clock strikes the hours and the organ plays eight tunes. 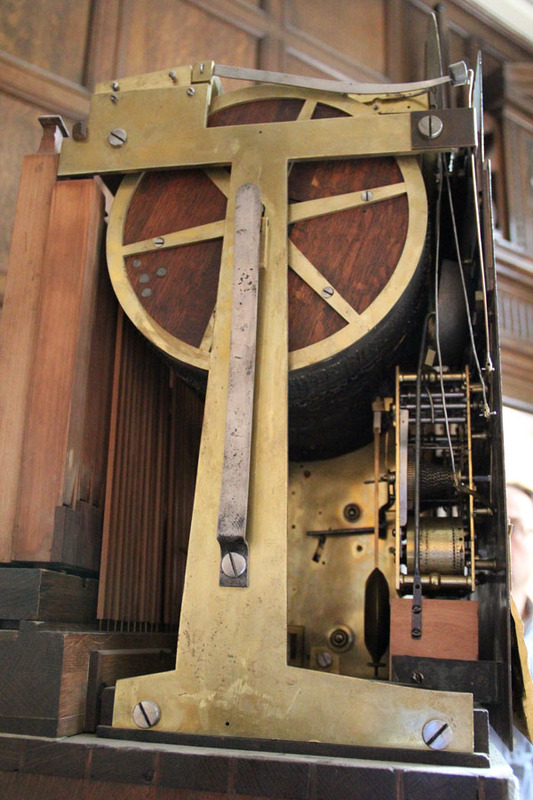 Its high hollow pedestal that the clock and case rest upon, which allows space for the descent of the massive hundred pound weight needed to drive the automata, program barrel, and provide wind to the pipe organ. It is veneered in ebony with brass banding. Gilt bronze lion’s masks watch from the top four pedestal corners while satirical masks look out from below and pierced foliated strap work plaques parallel each. The four sides of the pedestal are bestowed with a gilt framed mirror. It is a marvel to behold and enchants any audience with its performance. 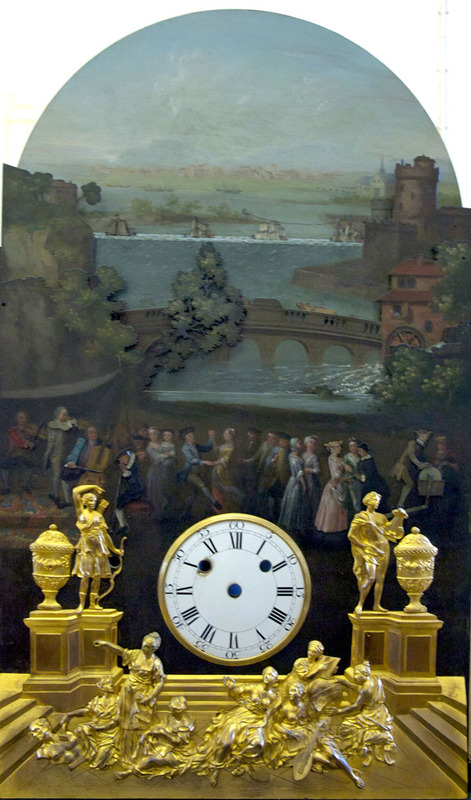 I ventured to Temple Newsam on several occasions to assess the clock and its condition. After putting together a proposal for its conservation we applied for grants, hoping to achieve funding for the project. 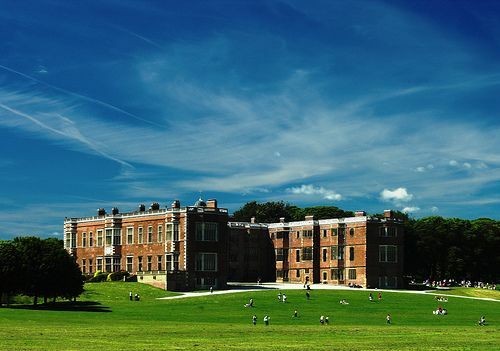 Currently Temple Newsam possesses half of the necessary amount required to carry out the conservation works, though proposals are still in progress. Should the money be obtained, it is likely I will be heading back to England to work on this exceptional object. Here’s to hoping the three of us will soon be reunited!